We all dream about something. We all hope that our dreams and our wishes will become true. I dream about this: one day to become a therapist. I am a graduated psychologist, but I would like to continue studying and advance in that field. This is a big challenge for me, but step by step I’m trying to reach my goal. Being a therapist is a profession full of challenges. The therapists always have something new to learn and need to constantly improve themselves, so they can help their patients. One of the most important things for this profession is something that we call good therapeutic relationship. If you want to have a good therapeutic relationship with your therapist, you need to know a few important things about therapy, which probably will break your popular myths about the therapy and therapists. First thing, if you go to therapy and you share your deepest feelings and secrets about yourself with your therapist, they won’t think you are crazy. We are all human. We all have difficult times in our lives. None of us is perfect .We all make mistakes. But, the good thing is that if we want, we can change ourselves and our lives. To come and talk about your situation, is the best and the most rational thing you could do for yourself. So, there is no reason for you to think that your therapist will think that you are crazy. The second thing, really important to understand is that the therapists are not there to give you advice. 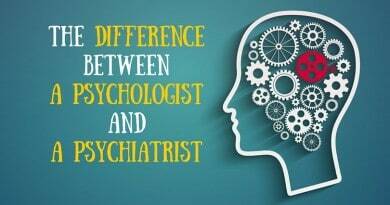 Your therapist will share their knowledge with you and will help you to make your own rational and balanced decisions. They are there to help you gain more trust and confidence in your ability to lead your life. Also, you should know that trust is extremely important thing in the therapy. You need to trust your therapist. You need to believe that they will guide you through this process of change and always be there for you. They will help you rediscover your strengths, so you will be able to solve your problems. Try to establish a good connection with your therapist. If you still feel uncomfortable to talk freely after several meetings, then let your therapist know about that. It’s ok if you say that you want to speak with some other therapist. They will recommend you another therapist, who probably will be better for you. The next thing is that therapy is perfect place where you can learn how to express your feelings. Maybe this will be hard for you, but don’t give up. Try to work with your therapist through your emotions and experience new ways of thinking and feeling. Through the sessions, you will learn how to deal with negative emotions, how to let them and how to protect yourself from them. One of the myths that some people have about therapy and therapist is that therapist will “fix” their life and all their problems. That’s not true. Only you can solve your problems. They will guide you so you could make the best decision for yourself and your future, but you are the only one who can put any new behaviors or thoughts into action. The power is in your hands. You deserve to be happy and to live the life you want. You can be happy if you want. The only thing you need to do is take care of yourself. Therapy can be something that can help you achieve that. Therapy is a hard process. Therapy is not easy, it takes time and energy. You need to decide that you want to work on yourself and you need to be persistent about it. Only then your life will start to change for the good. 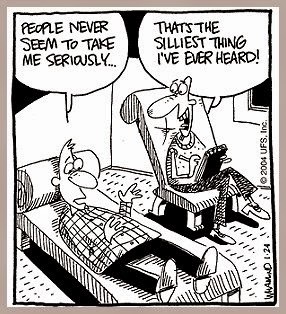 Have you ever been to therapy? What did you learn from that experience? Do you know any other important things that everyone needs to know? How to be effective at studying? How to improve your communication with others?